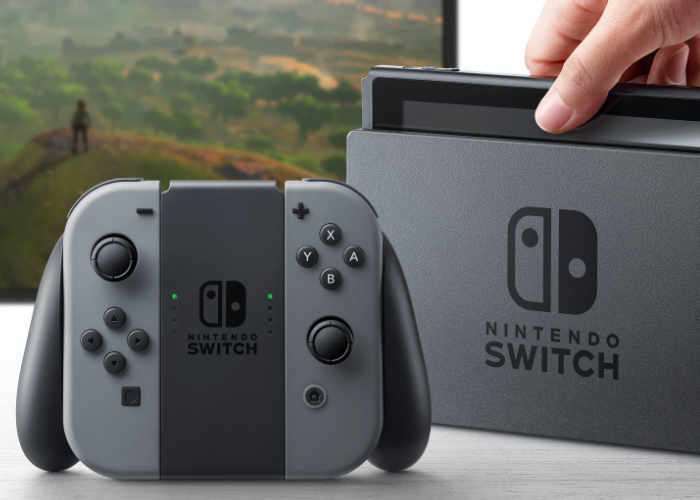 Nintendo revealed the pricing and release date of their Nintendo Switch console at their price event last night, the console is coming in March and it will cost $299.99 in the US. The Nintendo Switch will retail for £279.99 in the UK, these prices are slightly higher than expected as rumors had suggested it would be around $250. Nintendo have released a number of trailers for their new console, the one below is for the new Legend of Zelda: Breath of the Wild game. The handheld part of the console comes with a 6.2 inch LCD display with a resolution of 1280 x 720 pixels and the device features 32GB of built in storage and a microSD card slot for expansion. You can find out more information about the new Nintendo Switch Console over at Nintendo at the link below.